Or shoe, shoe. 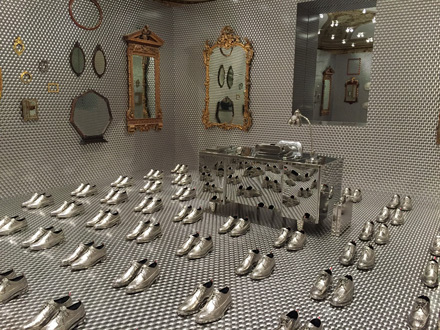 Thom Browne’s installation at the Cooper Hewitt mesmerized. Impossible to find a photo angle in which I wasn’t caught in one of the mirrors.